The Mini Toolbar in Microsoft Word is a great feature. For with it, you do not need to refer to the Ribbon every time you want to apply some basic text formatting. All you need do is, select the text you want to format and it will appear automatically giving you server option to choose from. But the fact that it appear automatically without you demanding for it can be sometimes annoying. If that is the case with you, I have outlined steps below which you can take to have the Mini Toolbar deactivated. Open the Word Options of the Microsoft Word program. In MS Word 2010 - 2016 you do this by click on the File tab in the Ribbon, then click on Options in the left section of the Backstage View. 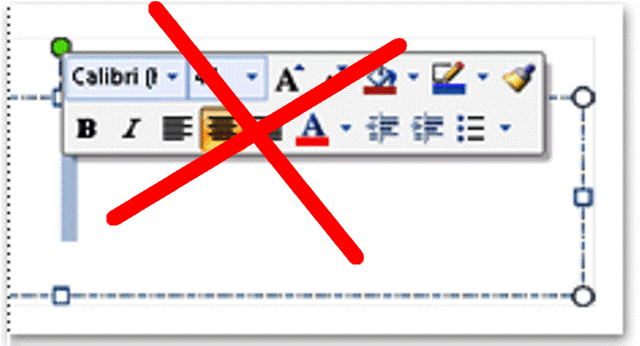 In MS Word 2007, you click on the Office button, and then Word Options in the bottom right of the menu that will appear. Next select General in the left section of the Word Options dialog box, and then uncheck the Show Mini Toolbar on selection option. Finally, click the OK button at that bottom of the Word Options dialog box to apply the changes.